You may not realize it, but your teeth have remarkable effects on your entire body. Losing a tooth could alter your speech, bite, and the meal options you can choose each day. With increased dependence on the remaining teeth, the chance of them degrading prematurely or damaging is higher. We are all conscious of our appearance and health, but missing teeth affect those. Typically, after losing a tooth, you are likely to lose 25% of your backing jawbone in about a year. Dental implants are better installed soon after teeth extractions because the longer it takes, the harder bone replacement gets. Interestingly, implants work similarly to your teeth. They shield and maintain the integrity of your bone structure, appearance, and oral health. 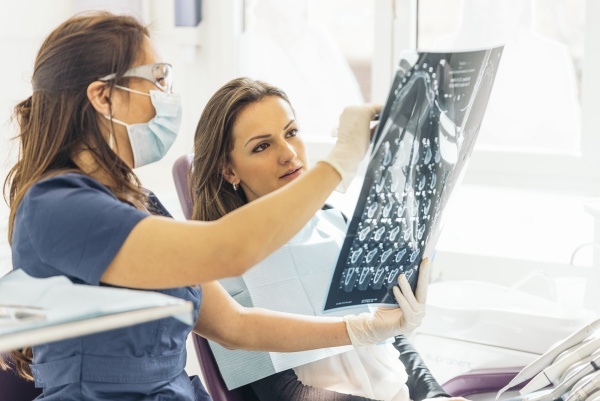 If you have been scheduled for a dental implant, the dentist and implant surgeon will inform you of the available options to help you make the best decision for tooth replacement. Dental Implants are the most straightforward and longest lasting answer for tooth replacement. They provide a solid grounding for the teeth and ensure the jaws stay firm and fit. In contrast to dental bridges, no harm comes to healthy teeth. They also work well as a replacement for a single tooth or as supports for bespoke dentures. Dental implants are appealing, sturdy, comfortable and extremely durable. A typical tooth has a crown and root. Your natural teeth and implant-supported replacement have the same components – the crown, which is the upper part of the replacement, and the root, which grips the tooth firmly in place below the gum and attached to the jaw. The main difference is that implants are made from titanium, which is the same solid material used for prosthetic joints. When you experience tooth loss, the root and the crown go too. The tooth replacement procedure requires substituting the root with a dental implant. After getting dental implants, the bone needs time to heal and form around the implant. The bone fastens to the titanium to provide enough support for the artificial tooth. The dentist will place a support structure (abutment) and the tooth substitute (crown) above the abutment. In typical situations, the dentist will affix a temporary replacement tooth to the implant instantly. Dental implant technology has witnessed some remarkable breakthroughs and innovations recently, including the possibility to attach single stage implants. These implants can be uncovered in a single procedure, but need at least six weeks to heal before the dentist affixes the artificial teeth. There are special cases where the dentist may place the implant immediately after tooth extraction, reducing the number of surgeries needed. The maxillofacial surgeon and the restorative dentist have to collaborate to perform dental implant replacement. The surgeon does the implant surgery, the tooth removal procedure, and bone grafting in some cases. The restorative dentist designs the permanent artificial teeth to fit the removed tooth and construct any makeshift prosthesis required for the implant procedure. The healing process is not uniform, and some people may need a longer time to heal than others. It is essential that you do not miss any of your appointments and checks ups with the dentist. Request a dental appointment here: https://www.mytotaldentistry.com or call McCarthy Dentistry at (740) 546-5178 for an appointment in our Marietta dental office.